This statement is effective as of 01/02/09. 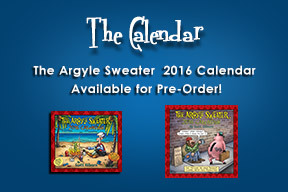 For the most current version of the The Argyle Sweater, Inc. Privacy Statement, please visit http://www.theargylesweater.com. The Argyle Sweater explicitly asks when I need information that personally identifies you ("Personal Information"). Your personal information is used to create your personal access to products on the site, and to contact you in the course of using the products. Financial information that is collected is used to verify identity, and to bill either you or your company for products and services, as applicable. Demographic and profile data collected by The Argyle Sweater may be used to tailor the Website or any requested email communications, and to display information that is more relevant to you. The Argyle Sweater also compiles demographic and product use information, but in the aggregate only. Under no circumstances will The Argyle Sweater make any personal information about an individual user available to anyone. Your email address is used to only send you information that you have requested. As part of your use of any The Argyle Sweater, The Argyle Sweater allows you to elect to receive, or not receive, certain information from The Argyle Sweater . The Argyle Sweater adheres strictly to permission-based email policy. 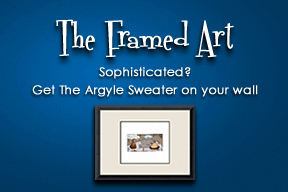 The Argyle Sweater will not send you unsolicited email information, commercial offers or advertisements. The Argyle Sweater will not sell, rent, or loan my contact lists nor will The Argyle Sweater use reader contact lists for my own marketing purposes. All emails that you have requested will have an option to unsubscribe. Unsubscribe requests are fulfilled within minutes and no further communications will be sent to users who have stated that they do not wish to receive the specified information. All The Argyle Sweater partners who offer you information via email from our Website must adhere to the is unsubscribe policy. While IP addresses (address of a computer) are logged to track a user's session, the user's identity is anonymous. Tracking IP addresses gives The Argyle Sweater information about which parts of our site are used most often and what information is viewed. IP addresses are not linked to anything that can personally identify a visitor. Thus, session details are tracked, but the user is anonymous. The Argyle Sweater ensures that all contact lists, email content and reports remain private and confidential. Any use of The Argyle Sweater must be in compliance with our Acceptable Use Policy - to protect against inappropriate use (illegal, abusive, obscene, threatening, etc.). The Argyle Sweater will not sell, rent, loan or allow external access to my reader's contact lists. Nor will The Argyle Sweater themselves use customer's contact lists for any purpose. Privacy, anti-hacking and other security technology has been implemented throughout our application system. Information exchanges and transactions, passwords, contact lists (uploading and storing online) and billing related data between you and our application system are protected using various technologies. This ensures a very high degree of security. 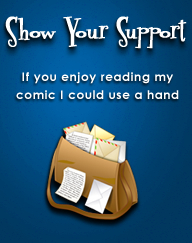 The Argyle Sweater allows you to purchase my cartoon merchandise in a variety of ways. When credit card billing is chosen, information is transferred to The Argyle Sweater using industry-leading, secure transmission technology including SSL and HTTPS (the transmission standard used for transactions by major financial institutions). The information is then encrypted using Data Encryption and stored securely so that it is ready to handle your transactions. ©2016 The Argyle Sweater. All rights reserved.